Do you love to pray? Do you have training skills? 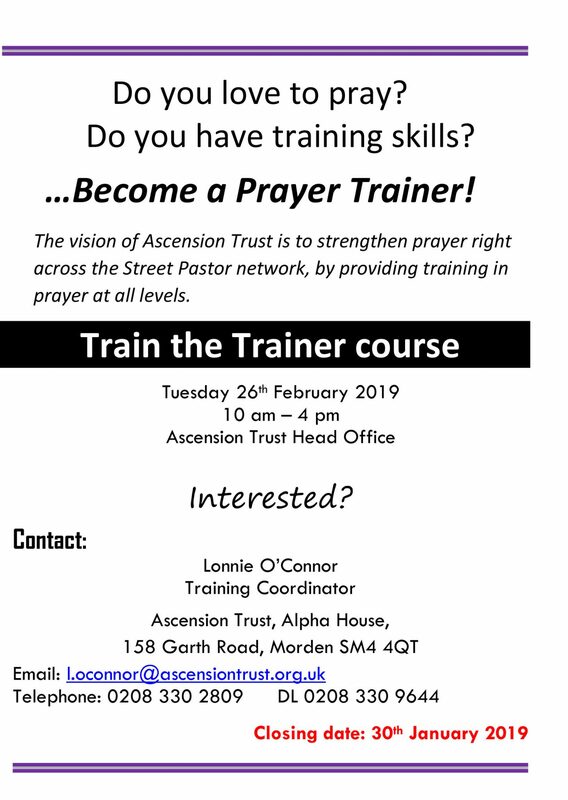 You could be our next Prayer Trainer! 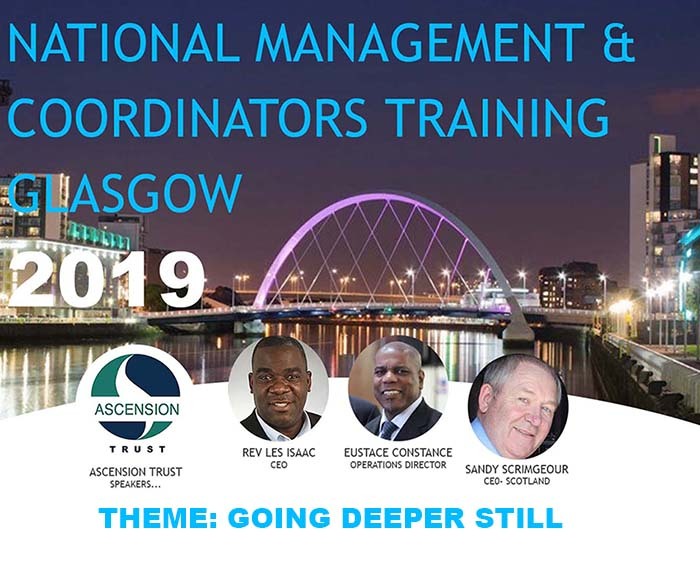 The vision of Ascension Trust is to strengthen prayer right across the Street Pastor network, by providing training in prayer at all levels. Calling all trained and authorised Street Pastors & Prayer Pastors… come and join our Central London New Year’s Eve Street Pastor Patrol in the heart of Westminister.